SWBAT compare multi-digit numbers using >, =, and < symbols. For the first task, 24 x 13, I was amazed at the students' abilities to represent this problem in multiple ways. Here, a student shows 24x13=(20+2+2) x (10 x 1 x 2). I tried to encourage the use of more precise language as I conferenced with him. For this lesson, I wanted to provide students with the opportunity to compare numbers in a real world situation (Math Practice 4: Model with mathematics). So I researched the prices of automobiles, ranging from $15,000 to almost $470,000. Next, I created the Automobile Comparison document. On each page of this document is a set of automobiles, ready to compare! After printing this document, I sorted each set of automobiles into four complexity levels and labeled them accordingly: Level A, Level B, Level C, and Level D. We will use these leveled comparisons during Partner Practice time. In addition, I printed a Place Value Chart for each student and placed it inside a sheet protector. I passed this out to students prior to the lesson. To begin, I invited students to join me on the carpet with a white board and a Place Value Chart. I then introduced the lesson's Goal: I can compare multi-digit number using >, =, and < symbols. To provide students with context, I explained: Let's say you're looking to buy a new car today! Students were immediately intrigued! Is it important to be able to compare the prices of cars? Turn and talk with a partner! I then explained the meaning of >, =, and < using the Comparison Symbol Posters (Source). I continued: In order to compare the prices of cars, we first need to make sure we understand how to compare simpler numbers using the comparison symbols. 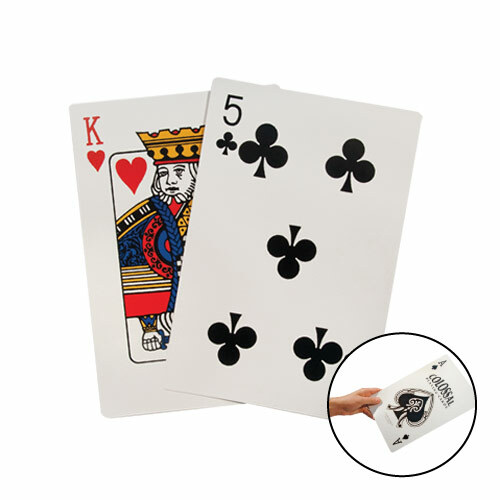 Using a set of Colossal Playing Cards (pictured below), I created the following equation on the board: 4 > 3 and asked students to help me determine which symbol would correctly complete the equation. Then we continued to practice using the comparison symbols with other equations that compared one-digit numbers: 4 < 6 and 4 = 4. Students loved using the large playing cards and were always eager to see which card was drawn next! Before moving on to more complex numbers, I wanted students to discover what happens when the numbers on either side of the equation were switched around: If 2 < 6, then 6 > 2. This was a great "ah-ha" moment for many of my kids! At this point, we began using simpler comparison symbols as well: Comparison Symbols. At this point, I knew my students were ready to compare the price of cars. Using the Teacher Demonstration Cars, I held up the Nissan Cube & Chevrolet Spark and asked: Let's say you are looking at buying one of these cars... how do the prices of each car compare? Students used their place value charts to compare the cars: Place Value Chart Cube vs Spark. As students finished comparing the numbers on their own, we completed the class Car Comparison Chart altogether. Here, a student explains how the cars compare: Comparing the Nissan Cube to the Cheverolet Spark. Next, I pulled out the Maserati & SRT Viper. Students giggled with excitement and began to chatter about each car! Then, students used their place value charts to compare the cars: Place Value Chart Maserati vs Viper. As students finished comparing the costs of each set of cars on their own, we completed the class Car Comparison Chart altogether. Here, a student explains how the cars compare: Comparing the Maserati to the SRT Viper and Comparing the Maserati to the SRT Viper 2. I asked students: Which car would you be most interested in buying? Most students liked the sportiness of the Viper! If teaching this lesson again in the future, I would include a final column where we could write out a comparison sentence. Instead, we just compared pictures of the cars on the whiteboard using comparison symbols. Assigning partners was quick and easy as I already have students desks carefully placed in groups. I passed out a Bag of Money and a set of Comparison Symbols to each pair of students. Next, I explained the Partner Practice task: Today, you'll be working together with your partner to compare the prices of two cars at a time. There are four levels on the counter: Level A, B, C, and D. Please compare two sets of cars from each level before moving on to the next level. Make sure to represent the cost of each car using your bag of money and each partner needs to use a Place Value Chart to compare the costs of each car. When you are ready to move on to another set of cars, raise your hand so I can check your work! During this time, I conferenced with each group of students to check on their understanding. I would often ask questions to encourage more precise language and or to help develop the students' abilities to construct viable arguments (Math Practice 3). Here, students use their place value charts and money to explain the cost of the Forester vs Tacoma. Another set of students shared how they analyzed the costs of the Ford Fiesta vs Smart ForTwo. One student comments on the name of the car. It's clear that he is really thinking and taking ownership of his learning! Next, students compared more costly cars, such as the Bently vs Lamborghini and the Lamborghini vs Rolls Royce. Students were very engaged in the process of comparing such expense vehicles! After cleaning up math materials, I provided each student with an exit slip to check student learning: Exit Task. I wanted to make sure all student were able to successfully compare two multi-digit numbers. As students finished, I asked them to check their answers with a peer. This was a great opportunity for students to catch their mistakes and construct viable arguments.